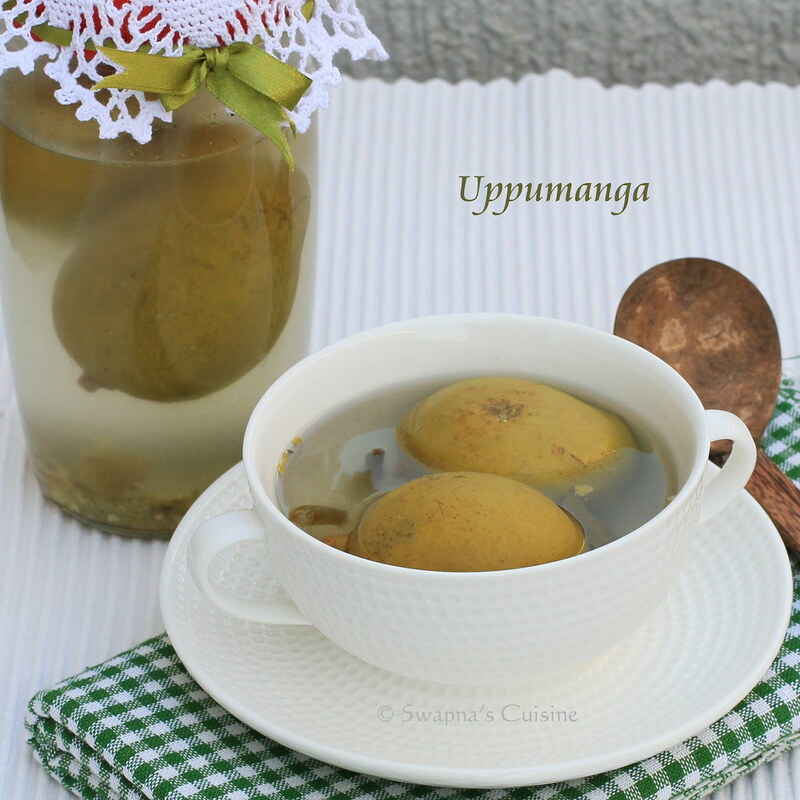 Wash the mangoes well and wipe it with a clean cloth. Boil water along with salt and allow to cool to room temperature. Add coriander powder in a small piece of clean dry cloth and secure it tightly with a kitchen twine. Add the mangoes, slitted green chillies and the coriander powder pouch to the bharani / glass bottle, add enough cooled salt water to cover it. Take a clean white cloth, cover the mouth of the jar and secure it tightly with a kitchen twine and then secure it with lid. Keep in a cool dark corner for 3-4 weeks and then you can start using it. The time depends on the quality of mangoes. 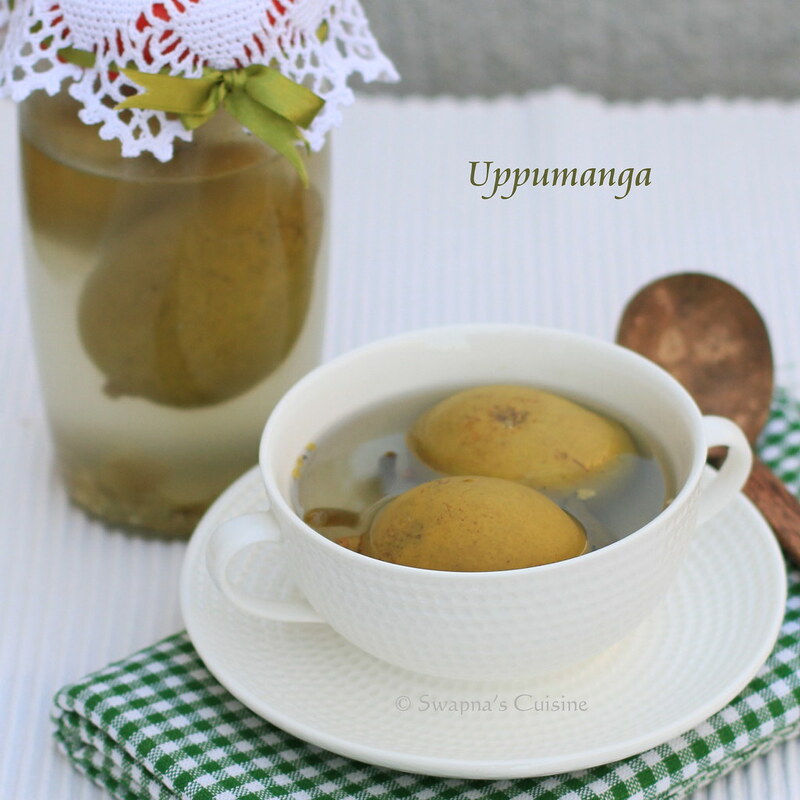 When the mangoes become soft use it as desired along with kanji or as a curry or chutney. Why is the coriander powder pouch added?